Glycated Serum Protein serves as an accurate intermediate marker of glycemia in instances where HbA1c may be of limited value such as pregnancy, reduced RBC lifespan and hemodialysis. The difference between actual measured HbA1c and predicted HbA1c from glycated serum protein is called the glycation gap. Measuring HbA1c and GSP together offers improved diagnostic accuracy by more reliably predicting complications of diabetes including nephropathy and retinopathy. 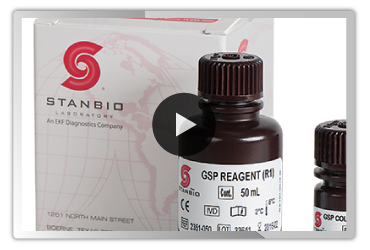 GSP provides superior specificity and accuracy compared to fructosamine assays (NBT method) for monitoring and assessment of short-term to medium-term (past two to three week period) average blood glucose levels. It is complementary to HbA1c in diagnosis and screening of diabetes. Studies suggest that combining GSP results with HbA1c measurements provides a better assessment of the long term risk of diabetic complications.